Our Sunday worship times are 8:45 and 11:00am. Communion is celebrated each Sunday during the early worship service. 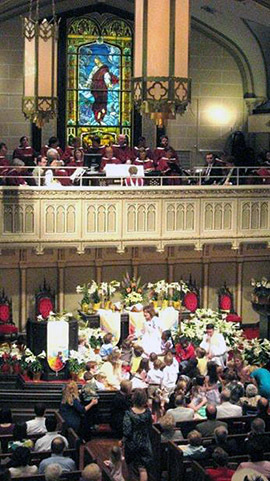 A full chancel choir each Sunday enhances this traditional worship service. Music is a vital part of worship life at Rayne. Wednesdays, 7 pm in the choir room. Music is a vital part of the worship life at Rayne. The Chancel Choir is led by Choirmaster Leonard Raybon and Marcus St. Julien, Organist. All are welcome to participate! This seasonal choir is for children ages 3 – Grade 5 and is designed to introduce children to music and worship. 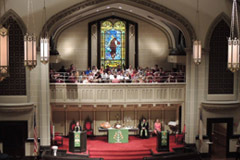 Children’s choir sings throughout the year and participate in an Christmas pageant. Children’s Choir is led by Allison Way Bunnell.